This timely article discusses the devastating effects of a carnivorous diet for animals, man and the planet. We are living in a difficult and uncertain age. Our planet, ourselves and all other life, are faced with numerous developing crises. The environment is severely compromised with animal and plant species becoming extinct by the thousands during the course of every year that passes. There are growing problems with the price of food and the shortages of such, brought about by the effects of climate change but also by our increasingly irresponsible behaviour, our colossal waste of food, through over consumption and the inappropriate and ineffectual use of resources. And of course; sheer unadulterated greed. One of our most significantly damaging and wasteful behaviours is as a society, our continued insistence upon the maintenance of a carnivorous diet, the eating of meat, as the standard. The stark truth is that this diet and the industry behind it, is literally killing us, aided and abetted through our ignorance and their greed. Land which could vastly be more productively used to grow crops is instead used for livestock for the meat industry which provides only a fraction of the food, and often not for the local communities but for overseas consumers in the developed world, which leaves many subject to poor diets, food shortages and inevitably higher priced food. This industry causes mass deforestation in order to provide land for cattle, wastes enormous quantities of water in production leading to shortages of clean drinking water and also consumes vast amounts of our ever vanishing, and polluting, fossil fuels. The US alone consumes a staggering 25% of the fossil fuels used globally, an entire third of which is exhausted solely by the meat industry. We do not need to eat meat, for health or for any other reason. Tradition and habit is no excuse. One of the more absurd justifications that I have heard vented more than once, is that agricultural livestock such as sheep and cattle will become extinct if we cease to use them in this manner. This is so bizarre and ridiculous I’m often at a loss for words as to an appropriate response. Numbers would dwindle, naturally, and these animals could simply be left in the long term to get on with their lives as with any other animal in the wild. The more harmful of our effects upon these species would eventually in most cases be reduced and disappear altogether. Plus, the very concept that we have to continue to use and abuse, and kill, other sentient animals with the notion that we are somehow preserving them and ensuring their continuity in doing this, is so absurd that it beggars belief. Carnivorism is unethical, immoral and selfish. It harms the environment, involves the grotesque abuse of other sentient beings, squanders precious and rapidly diminishing resources and contributes to global food shortages. Furthermore, for the consumer it is increasingly expensive and dangerous to the health, meat products being often contaminated with waste, chemicals and toxins that are either incidental or a direct result of the production process. If you want to make a significant contribution towards change, to benefit the environment for us all, and even to lessen the burden upon your finances with the soaring costs of meat products; then become a vegetarian. It is the only option which makes sense. Large-scale swine producers in Mexico deny that their industry is the source of the deadly new influenza strain, saying the animals are all healthy, and that it is scientifically “not possible” for hogs to infect people with the illness. But lawmakers in the eastern state of Veracruz are now charging that large-scale hog and poultry operations are “breeding grounds” of infection that are making people sick and fuelling the pandemic. Agriculture uses 70% of all water worldwide, with a rise to 85-95% in developing countries that are often producing more food for the affluent developed world than for themselves. 70% of all agricultural land in Britain is used to feed animals. If we all became vegetarian in Britain, only 35% would be needed. Ten hectares (equivalent to five football pitches) of land is need to produce enough meat to support two people. However, the same area could support 10 people if used to grow maize, or 24 people if used for grain production. In light of the fact that 852 million people go hungry every day, this colossal waste is scandalous. Furthermore, hunger kills more than 5 million children every year. It is an outrage to have provided former Prime Minister Margret Thatcher, the destroyer of all the social achievements of past decades with a lavish funeral to the tune of £10 million. It is a disgrace of self indulgence and Tory propaganda, an attempt to have this infamous woman’s name go down in history as a saviour rather than a destroyer. It is wrong on just so many levels to spend this money on a funeral for this divisive women while the sick and disabled have drastic cuts to their benefits; while 3.6 million (one in four) children live in poverty here in the UK today, while thousands of people die because they cannot heat their homes and pensioners struggle to live on a pittance. How many elderly people get to die in the Ritz or in similar luxury; a more common scenario for many is a lonely death neglected in a care home after being forced to sell the home for which they have slaved all their lives. It is an outrage to moral decency that £10 million is wasted to provide a funeral for anyone when one child in a “developing country” dies every 3.5 seconds from malnutrition – what happens to their poor wasted bodies ? Who remembers them? Nothing more than a statistic as they pass into oblivion. Young lives thrown away so the one percent can live decadent life styles and have decadent funerals. During the two hour ceremony and funeral 2060 African children died as a consequence of the rampant greed of capitalism gone mad mostly as a result of this woman’s policies over the long dark years that she was prime minister. Yes, of course there has always been starvation in Africa since the arrival of the white man but Thatcher’s policies have allowed the unfair ideology of greed (capitalism) to escalate out of control deepening the already great injustice of millions of our fellow human beings dying of starvation, preventable disease and other derivations when they need not. Her polices of self centred ambition come at the expense of other people and the environment itself. The ideology of avarice and exploitation is her legacy to future generations. The only people she helped were the rich, let them pay for the funeral. The Rt Hon Francis Maude MP, Paymaster General, Minister for the Cabinet Office. Cabinet Office. 70 Whitehall. London. SW1A 2AS The Rt Hon Nick Clegg MP, Deputy Prime Minister, 70 Whitehall London SW1A 2AS. Rt Hon Ed Miliband, Leader of the Opposition, UK Parliament and Government. I was going to list Thatcher’s legacy of misery but I think Glenda Jackson MP sums this up nicely and includes the often overlooked debacle of “care in the community” which was anything but and left countless people with mental illness to fend for themselves, many of whom found themselves on the streets. I applaud Glenda Jackson who stood up for the truth while so many did not, in fact as far as I am aware the only other person to do so was Dennis skinner. The commentary below nicely sums up Thatcher’s legacy to the vast majority of us. 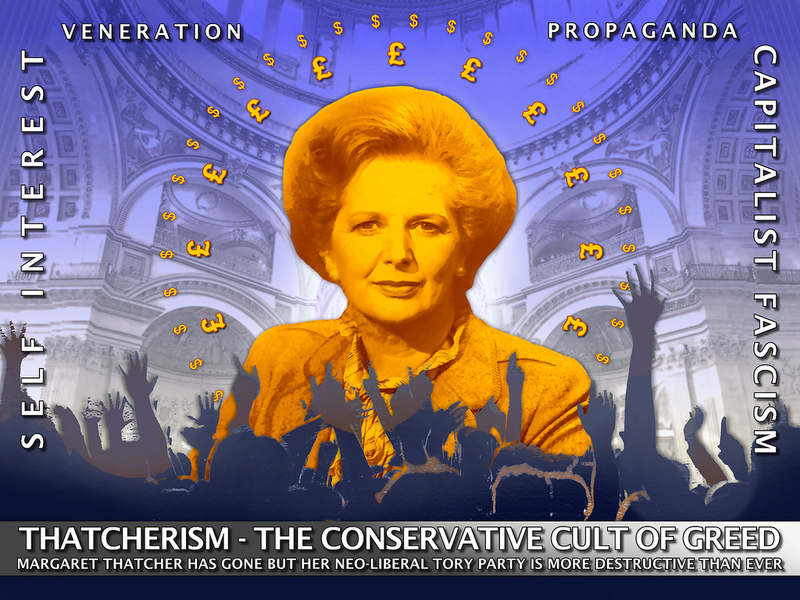 “Despite hypocritical calls not to politicize the event by the Conservatives; Thatcher’s funeral was possibly the most political funeral in British history, a multi-million pound propaganda spectacle for the benefit of the elite and the promotion of their greed and power driven ideology. Thatcherism, extremist capitalism, neo-liberalism; label it however you will, but yesterdays event was an expensive wasteful attempt to further this failing cause, to entice the public to be complicit in their own ruination or destruction. While the rich and famous paid tribute to a women whom the majority of people deplore we need to be aware that her warped policies continue as our government has set about destroying our welfare system and our NHS. The drastic cuts in benefits are just the beginning of a campaign to set back the clock decades to a time of hardship, poverty and deprivation that no one thought would ever exist again. Slowly but surely this government largely unchallenged by Labour will chip away at our welfare system until it is nothing more than a distant memory, one which will be defamed by the rhetoric of scroungers and skivers. Odd isn’t it how the only good thing Thatcher did for those of us who are sick and disabled, namely the introduction of DLA, the present government of the unelected seek to destroy when PIP replaces DLA with a target reduction figure of 600,000 disabled and long-term sick people. Ironic that she died on the very day this unfair cut to benefits begins in the North. So typical that the government have decided to pilot this drastic change that will leave many seriously disabled without a benefit that helped them to live a more normal life, including going to work, in the North were her policies have had the most destructive effect adding to poverty and deprivation. It is shameful is it not that people here in the north, particularly the Northeast are often considered with disparity, denigrated by those who live in the more affluent south when it was the people of the north who were the backbone of the industrial revolution and the achievements and progress this has brought, an achievement which was so lavishly promoted at the opening ceremony of the Olympic games. Never forget that the advancements of the industrial revolution rather like Thatcher’s and the present Tory policies came at the expense of so many to provide wealth for the privileged few. Here is a tribute to a prime Minister that is well deserved. Compare the achievements of Clement Attlee to those of Thatcher, his was real social progress for the good of the many, progress that she and the Tories have and continue to demolish. Clement Richard Attlee was Deputy British Prime Minister during the war years and British Prime Minister from 1945 to 1951. During that time he created the NHS, welfare services for deprived children, support and financial help for the elderly and the disabled, he introduced the right to a free secondary education, sickness and child benefit, he raised pensions to a liveable level, built large numbers of affordable housing for low-income families and built numerous new towns for working people. One of the most sickening details of all (welfare reforms) still grates with me almost daily. It was so cruel so unnecessary. It overturned decades of cross-party consensus and decency. It picked on a group so vulnerable it takes my breath away. And it stripped that group of basic rights despite ministers not actually understanding the policy at all. How cavalier can you be? How arrogant and out-of-touch? It was called the “Youth Premium” It only related to children who were born so profoundly disabled that they would never work as adults. Forget your Work Capability Assessments and your Scroungers, these children would never take part in society like you or I. Many would never talk, self feed, walk, play, laugh, fall in love. But they could still lead independent lives. Because we were a society that believed they should have a right to if they chose to. I grow weary of the rampant greed in this country, the exploitation of the vast majority of people as the rich get richer on the labour of the working poor , although no one should be working and poor, the two phrases do not belong in the same sentence and in a just society they would not be. I am angry because of the shameful treatment of sick and disabled people who are suffering the consequences of vicious welfare reforms. Though the word reform is misleading, the sick disabled and unemployed are suffering the consequences of cuts to decrease the so-called deficit, a complex financial situation that few understand and if the did would realise that the financial crisis does not exist in any real sense at all and is nothing more than a means to impoverish, control and enslave the masses and discard those who are unable to contribute their precious existence to slaving away their lives to make another man rich, to line the pockets of greedy corporations who look for and exploit any loophole they can find to avoid paying tax. A relatively new exploiter and now tax avoider is Npower one of the so-called big six rip off energy providers. Isn’t it bad enough that these providers of a vital commodity in a climate such as ours charge extortionate prices for gas and electricity, accruing huge profits, without them dodging their fair share of taxes. This winter countless numbers of people have shivered in unheated homes and many have died as a consequence of the insatiable greed of energy providers including NPower with its ten percent price hike. Though the above article focuses on insulation as a remedy, the real culprit is greed, the greed of the energy providers which prevents people turning on their heating. Extreme you might think and at one time I may have agreed but now I am not so sure. Concerning the cost of heating, it is not only death as a result of escalating energy prices, it is the continuous misery of living in a cold unheated home. The effect it has on your health, your sense of well-being. For people with chronic pain the cold increases the suffering. For people with respiratory problems damp like that which grows on my walls because I cannot adequate heat my home is a significant detriment, a serious health hazard. Warmth is as essential as food and shelter in a country like the UK, people should not be at the mercy of greedy companies who indirectly choose who will live and who will die. A disgrace for any country what wishes to consider itself as civilised. Shame on all you greedy greedy tax dodgers. You are the real parasites living off the misery and suffering of others. If you feel the same way please sign the 38 degrees petition and tell them to do the right thing and pay their taxes like the vast majority of people have to who have far less money than they. While it is a disgrace that energy providers and companies such as Starbucks avoid paying taxes it is also an outrage that £10,000000 of the tax payer’s money was used to pay for a lavish funeral for the women who is responsible for privatising our energy supply. The privatisation of gas and electricity was amongst the first of many of Thatcher’s misguided polices which have made the lives of many a misery and which none of the three main political parties seem keen to rectify, instead tying to pacifying the problems by the constant emphasis on insulation and switching providers, which in reality saves very little and then only in the short-term. On April 9th once again Canadian sealers in the Gulf of St. Lawrence began their bloody massacre of baby seals. It seems that yet again the Canadian Government are allowing the mass slaughter of these defenceless animals despite all the pleas, petitions, letters and e-mail from people around the world. There is no market for seal pelts as the U.S., the European Union, Taiwan, Mexico, and Russia have banned the importation of seal fur products, yet Canada relentlessly carries out this atrocity each and every year. Please take action to help stop Canada’s annual massacre of baby seals! Please click the link below to send a message to the Minister of Fisheries and Oceans Keith Ashfield, Minister of Foreign Affairs John Baird, and Minister of International Trade Ed Fast to help bring the commercial seal slaughter to an immediate end by supporting a government buyout. This is a slightly different message to the one that appeared in an earlier entry. Please sign again even if you signed the previous message. The more we continue to keep the pressure going to stop this the better. If possible edit the message with your own words, personalised messages are more effective, however if for some reason this is not possible send it as it is. Over the years I have signed many petitions and people from many countries have endeavoured to bring an end to this annual act of barbarism that has no place in any civilised society. Lets stop this outrageous cruelty once and for all. Right now I am so angry about welfare reforms and reforms to the NHS here in the UK, in all my life I have never felt so much insecurity. It is depressing to live in a society that treats people in such an inhumane way. A society so easily led by the callous behaviour of the over privileged who have never had to rely on benefits, though they have readily taken them when it suits them, or the NHS. I can well imagine that Cameron takes his child benefits for all four of his children. Moreover anyone else having so many children would soon be vilified. Why is it okay for the rich to reproduce as often as they wish? I think it shocking when single mothers get accused of having children in order to avoid working. Really is this idea anything remotely realistic, think about it, for a lousy meagre amount of benefit money a woman would have a child. Again it comes down to the misconception of how much money people receive on benefits, which incidentally is a lot less than they do in other countries. It is so sad about Cameron’s son that one hesitates to mention how he, David Cameron, applied for DLA on his son’s behalf despite the fact he is obviously financially able to have provided care for his own son. I believe he even took free nappies provided by the NHS. The worst part however is how he used his situation concerning the disability of his son to make people believe that he cared about people with disabilities. 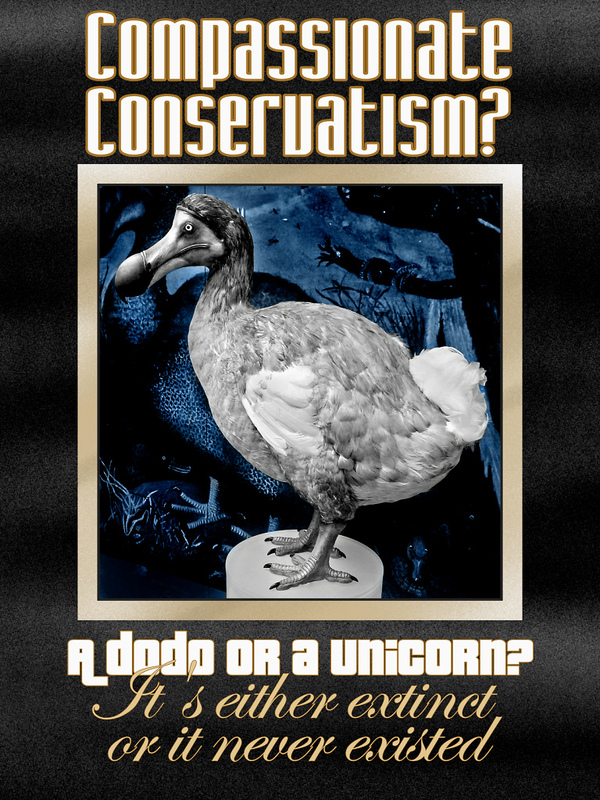 “A modern compassionate Conservatism is right for our times, right for our party — and right for our country. Disabled households are especially vulnerable to poverty, and are being significantly affected by the complete restructuring of disability benefits. The government with the help of certain sections of the media have done their utmost to influence people to regard the sick and the disabled as adding to the burden of the financial crisis which has effected most people except the very rich. Consequently there is little support against the drastic and vicious welfare reforms. The failing pre-war German economy was not only blamed on the Jews but less widely known perhaps is that in pre-war Germany people were swayed by propaganda to believe that the disabled were costing the government money that could better be used elsewhere? Doesn’t today’s present situation have echoes of the hideous and evil insanity that was perpetrated not so long ago in our history that we cannot immediately see the similarities? While compassionate people sympathise with him over the tragedy of his son, isn’t it just shocking how Cameron continues to invoke the memory of his son to gain sympathy and to promote the misconception that the government care about sick and disabled people. Just when you thought that he could not stoop any lower he continues to exploit his son’s disability and the achievements of the Paralympians. No Cameron people no longer see the wheel chair; after the conservatives launched their vicious attacks on sick and disabled people labelling them as scroungers now instead of a wheel chair people see a scrounger. The following are quotes that Cameron said before the election, which in light of recent events seem now so utterly shocking in their insincerity and dishonesty. Such blatant hypocrisy. You have to ask yourself if what you are reading are the words once uttered by this man who, along with Duncan Smith, Greyling, Osborne and Freud, has mercilessly run roughshod through the entire welfare system. Their vicious Welfare reform bill has reduced the income of every single disabled person including children and leaving young people who are born disabled dependent on a parent or partner. All in addition to implementing a flawed assessment that declares disabled and sick people as fit to work when they are not able to do so, with the result of many people committing suicide. You could have fooled me. Cameron has done nothing since his election except make the poor suffer, the poorest in society which will not only be the disabled and sick but also the unemployed and people on low wages who have to survive on the pittance of benefits that Cameron is hell-bent on drastically reforming so that the poor in every sense of the term will get poorer. “I believe that poverty is an economic waste, a moral disgrace”. Some cannot afford to eat or heat their homes. Shocking fact some children here in the UK do not have a bed! “Right now, in this country, children are going to school hungry because they don’t get a proper breakfast. They go through winter without a warm coat or a decent pair of shoes. Some even have to sleep on a damp mattress on the floor because they don’t have their own bed”. So many elderly, unemployed and disabled have enormous difficulty just paying their heating bills, many live in cold damp homes, myself included. This winter has been particularly severe with snow and frost right into April, most days I am never warm, I dare not turn the heat on sufficiently to warm my home. I imagine that all of these over privileged MPs who are destroying the lives of those far less fortunate take it for granted every morning when they wake to a central heated home, among all the other privileges that most of them probably did not earn in any real sense of the word. Cameron and his millionaire buddies, are out of touch with reality about just how deprived and poor many people are. Furthermore they don’t care. The charity Save the Children, best known for helping some of the world’s poorest families, has launched an appeal to help UK children. “The UK is the world’s six largest economy, yet 1 in 5 of the UK population live below our official poverty line, meaning that they experience life as a daily struggle. It is a sad reflection on the state of our country when charities which normally focus on “developing countries” now have to turn their attention to poverty here in the UK. Our task must be to free ourselves…by widening our circle of compassion to embrace all living creatures and the whole of nature and it’s beauty. I feel inadequate with the notion that what I write could ever make a difference but because of ill health my animal rights website is the best I can do to hopefully make people think differently about animals. But really it all feels hopeless as people everywhere continue to stuff their greedy faces and sate their insatiable appetites with the dead flesh of another sentient being; or wear the skin that once belonged to a thinking feeling creature who like them enjoyed the warmth of the sun on their once vibrant living feeling skin; or drink the milk taken by force meant for the baby of another animal who spends her life confined in a shed, her baby taken from her at birth until after years of this torture she takes her only trip into the sunshine to be loaded on to a truck and driven to the abattoir. I am of course talking about cows. Yes I know obvious, but is it, is that plastic milk carton you buy in the supermarket really thought of as anything other than a drink, its origins rarely considered or the suffering that goes into providing you with a food product that is not meant for you and which you do not need. No other animal except human beings drinks milk after weaning or drinks the milk of another species. Cows of course are but one of many animals exploited for their flesh, skin,wool, fur, milk and so on as billions of pigs, sheep, poulty and cattle live wretched lives in factory farms and suffer slaughter to provide humans with a food and materials we do not need. Why? What drives the continual exploitation of other human beings, other animals and the environment by the few in the cause of greed, the insatiable need to acquire more and more wealth while others around them suffer the consequences? It appears that some people consider their lives are of more worth than that of other people or other creatures. It is almost as though they are not aware that others have needs, that others suffer and are alive in the same sense that they themselves are. The lives of all beings are to my mind of equal value, life as Siddhārtha Gautama founder of the Buddhist tradition says is precious to all. Thinking that one is better than others is of course one of the reasons why the world is an awful place to live, the hostility of the environment made worse by people who think that they are better than everyone else. It’s okay for this or that person to sweep the streets, empty the dustbin, generally for a pittance, spend their precious lives slaving in a factory or office, it’s all slavery white or blue collar, but not me. Somehow I am better I should have millions in the bank because somehow I deserve it. I cannot even imagine the rationale that makes one person think it is okay to exploit thousands of others, let children die of malnutrition or disease while he or she lives in luxury. What goes on in the minds of all those who accrue enormous wealth while others die, while every three seconds a child in the developing world dies? Is it callous indifference, outright evil or insanity? To my way of thinking the kind of mentality that never questions the morality of their voracious acquisition at such a price is truly insane, dangerously insane because it seems that it is that kind of thinking that rules the world. Surely the competiveness, the exploitation, the greed and callousness for human and nonhuman suffering cannot be the result of rational thinking. What kind of society allows one child to die every three seconds of hunger, a child to go blind for want of medication that costs about 50 pence, billions of sentient beings to be slaughtered the world over to feed the rich a food they do not need and is not natural and results in the suffering not only of the unfortunate creatures themselves but other human beings and the environment. In many regions of the world the rain forests and other land is used to provide fodder for farm animals. It’s a crazy crazy sick world ruled by greed and avarice, ruled by those whose sole motivation is to acquire more and more wealth to do with as they please at the expensive of others. I often wonder if there are other beings out in the universe and if they observe us and what they think of the nightmare of hell we have created. The wars that rage created by the powerful and greedy to continue to control and subdue, to seize for themselves the world’s resources at the expense of the other beings with whom we share this world, other generations. In 2011 we commemorated the tenth anniversary of those who died in the 9/11 attack and rightly so these people should be remembered if doing so brings comfort to relatives and friends and reminds us of the horrors of the consequence of hatred, greed and intolerance and plain and simply mans’ inhumanity to man. September 11th 2001 was a sad day, as it is a sad day when anyone dies, particularly in such circumstances but what about the 112,049 plus who have died during and since the 2003 invasion of Iraq, most of whom were innocent people going about their daily lives as were the people in the world trade centre. What about the 16,000 children who died of Malnutrition on the same day as the 9/11 attack as they do every day or the millions of helpless animals who were slaughtered that day, (in the UK alone about 2 million are slaughtered each day) as they are each and every day to feed the few. Also consider the estimated 26,000 people who go to their graves earlier as a result of the unbridled greed of the energy companies in the UK. Did you know that more people here in the UK die of cold than in Siberia? When will we remember them, when will we stop the killing, the greed, the exploitation, the genocide and for once and for all time recognise that every creature has a right to life regardless of species, race, religion, ideology, age or any other status with which humans set themselves up upon a pedestal and consider they are better than others or they have the right ideology, religion or are member of the right race or species or whatever. Here are the sickening statistics and relevant facts regarding the points made above in more detail including links to sources and further information. Of course the above is simply the tip of the iceberg; to make a list of the appalling suffering and neglect of our fellow beings both human and nonhuman would comprise a long and shocking list of exploitation, brutality, greed and neglect perpetrated on the many by the few. Every day, almost 16,000 children die from hunger-related causes. That’s one child every 3.5 seconds. Animals killed worldwide for Americans’ in 2009 amount to 8.3 billion land animals and 51 billion sea animals. (So, a total of about 59 billion animals. ), also 56 billion worldwide. Over a lifetime, this amounts to 15,000 animals per meat eater. Animals killed for Vivisection (experiments) the Estimates range from 17 million to 100 million. Each year worldwide over 40 million animals are killed for their fur. Animals killed by hunters;there are well over 200 million animals reported killed by hunters every year in the USA alone. Again in the USA approximately 3-4 million cats and dogs are killed in shelters in the United States every year. This equates to 2.4 million animals slaughtered every day; 100,000 an hour; 1600 per minute and 26 every second. Note if this entry seems familiar you may have read it on my former blog on another blog platform. I unfortunately irretrievably deleted this blog by mistake and am attempting to upload entires that I had backed up. So often we can get bogged down in all the awfulness of our world, man’s inhumanity to man and the other creatures with whom he shares this planet, his destructive and wonton exploitation of the environment and it’s creatures in the name of greed and power. For those of us who care about this world and its inhabitants it can at times appear as though there’s no justice, no compassion, no hope, just the continual round of corporate greed, corrupt governments and no one who gives a dam. So its time for some good news. October 15th 2012 was an historic moment which sadly passed most of us by as the mainstream media did not consider the following momentous legislation as news worthy. The great news is that Bolivia has enacted a new law enshrining the legal rights of nature which defines the earth as living system with rights. Moreover the new law in general requires the cessation of practices that damage the environment. The “Law of Mother Earth and Integral Development for Living Well,” promulgated by President Evo Morales on October 15 2012, establishes eleven rights of Mother Earth, including the right to life, biodiversity, pure water, clean air, and freedom from genetic modification and contamination. This revolutionary rethinking concerning our relationship with the earth was drafted by Bolivia’s main social movements in 2010. Also in 2010 President Morales signed an abbreviated version of the document, called the Law of the Rights of Mother Earth. In 2012 a much wider reaching text named the Framework Law for Mother Earth and Integrated Development to Live Well is now law. You might ask yourself can the earth have rights? Well if corporations can have rights as granted to them by courts in the USA than indeed the earth can have rights and moreover she deserves them more than the greedy exploitative corporations that wreak environmental havoc and trample over human and animal rights. Hopefully in time there will be an English translation. In the meantime The above drafts and other information provide a good background as to the nature of this historic legislation. This is indeed a novel approach to tackling the problems that face our environment. I sincerely hope it will it provide a new tool for those who fight to save our world from destruction and unimpeded exploitation. Is such a “radical” idea even possible. 5. No Commercialization. That life systems cannot be commercialized, nor the processes that sustain them, nor form part of the private inheritance of anyone. 3. Develop policies to defend Mother Earth, in the environment of multi-national and international over-exploitation of components, against the commercialization of living systems or the processes that sustain them, and of the structural causes of Global Climate Change and its effects. 6. Promote peace and the elimination of all nuclear, chemical and biological weapons of mass destruction. Please read the entire Legislative Assembly of the Multi-National State of Bolivia DECREE Law of Rights of Mother Earth linked above. Will other governments follow Bolivia’s example? The above is just a few examples of the seemingly never ending agenda of environmental destruction. The positivity of the law of mother Earth cannot be denied, one of the most welcome of which is the ideology of “living well” one aspect of which is presented as an abandonment of the capitalist system, which regards the planet as a commodity, in favour of sustainability and a harmonious relationship with Mother Earth. Though I have to ask: Does the The “Law of Mother Earth and Integral Development for Living Well,” include the rights of animals to be left to live according to their natures or will the exploitation of animals in Bolivia continue such as the rearing of and consumption of animals for food? I rather suspect that this act will take a while to implement but it is a start at least, a valiant attempt to call a halt to the wonton destruction of the earth and its inhabitants. All said and done it is a positive step forward indeed. As radical and urgent reforms are needed involving an end to the insatiable and unbridled corporate greed that is destroying the lives of us all and threatens future generations and our very existence. It is a pity that other countries do not follow Bolivia’s example. Here in the UK like so many rich western countries all there is now is greed and exploitation of people and the environment, making the UK not a nice place to live any more.